I am really surprised to say this, but this book just wasn’t for me. I went into it fully expecting to love it because of all the amazing reviews that it has, yet that just wasn’t the case. However, there were many parts that I did appreciate and I will outline those first (good before bad). Nonetheless, I couldn’t give this any more than three stars because I found myself not wanting to pick it up as I was reading it. The good thing about this book was how much thought went into everything. It is easy to tell that Chakroborty knows every detail about the world and has managed to make it very politically complex. The plot was really original and unlike anything that I have read before. 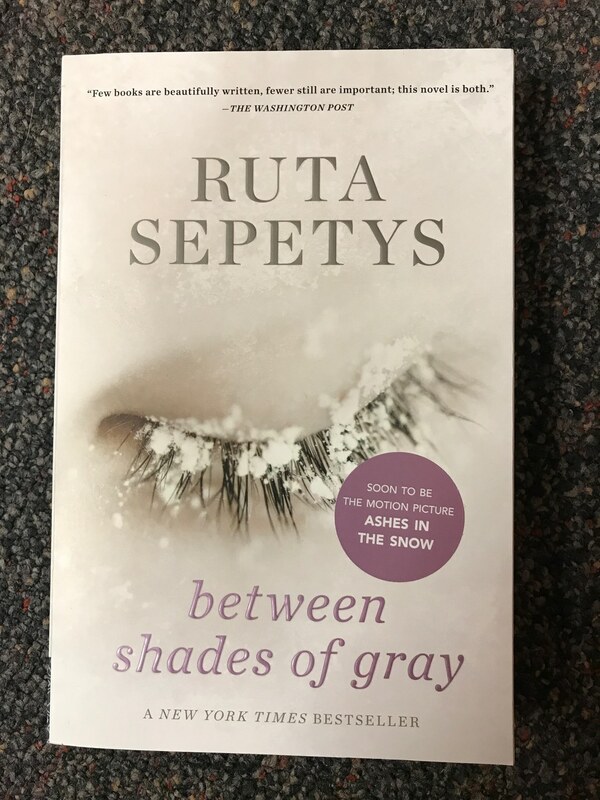 All the characters are extremely gray (meaning they aren’t only good or bad) and the plot was filled with unexpected plot twists (especially towards the end). Now, onto the bad. Throughout the entire book, there were so many different names of groups, people, etc. that I couldn’t keep things straight. This made my whole reading experience a bit confusing. I’m still not completely sure how to feel about most characters or things that happened in the story. To be fair, I think a big part of the book was meant to have the reader not be sure who was on whose side or what the motives were behind things. However, I feel like the story left too much out in these aspects so that the reader is forced to go back and reread multiple passages. It’s not enjoyable for me when I end up having to do this with a book. I found the characters to be very complex and I enjoyed reading from Ali’s perspective the most. The entire book alternates between Nahri and Ali’s narratives. The ending made it feel like there is going to be a second book, but I don’t think I will be picking it up if there is one. This is due to the fact that I didn’t find the story riveting until about the last 200 pages of the 526-page book. Before reading this, make sure that you are ready to think hard and expect to be confused at times. I would recommend this book to people wanting very detailed world building with complex politics and characters. In the spirit of Station Eleven and Never Let Me Go, this dazzling and ambitious literary debut follows three generations of beekeepers from the past, present, and future, weaving a spellbinding story of their relationship to the bees and to their children and one another against the backdrop of an urgent, global crisis. England, 1852. William is a biologist and seed merchant, who sets out to build a new type of beehive one that will give both him and his children honor and fame. United States, 2007. George is a beekeeper fighting an uphill battle against modern farming but hopes that his son can be their salvation. Haunting, illuminating, and deftly written, The History of Bees joins these three very different narratives into one gripping and thought-provoking story that is just as much about the powerful bond between children and parents as it is about our very relationship to nature and humanity. I was really excited to read this book when I won it in a giveaway. It sounded like it was going to be a super interesting historical fiction read and that genre is one that always tends to keep my interest. I was also hoping that this book would teach me a lot more about bees and their disappearances (a phenomenon happening in our world today). Both of those things turned out to be true, but not quite in the way that I had expected. The book was an interesting historical read, however, it was just too slow for me. At the time that I read this, I think that I needed something a bit more fast-paced considering I just finished up reading a lot of textbooks at University. I found myself not wanting to pick it up, not because the story or writing wasn’t good, but because it wasn’t the pace that I wanted to be reading. This is one of the main reasons that the book got a 3 out of 5 stars from me. Nonetheless, the story taught me a lot about bees and was a really creative take on the past, present, and future relationship between bees and humans. I loved that the story was told from three different perspectives and I think that is what made it work. Maja would not have been able to tell the whole story without the three different time periods. 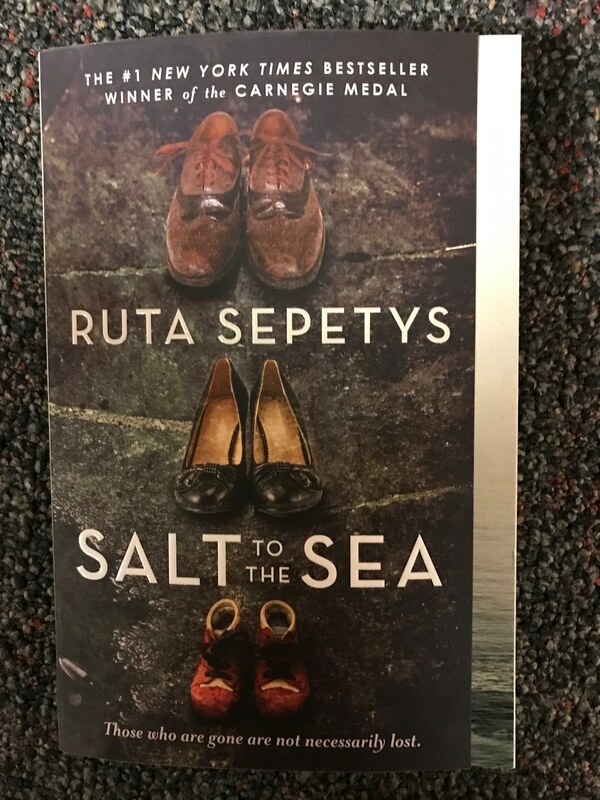 The characters in this book were all parents and the story centered very strongly on their relationships with their kids. For this reason, it was hard for me to connect strongly with their narratives because I have never been a parent. I’m not saying that they weren’t at all relatable, but I do think that this story might resonate stronger with parents and people who know what it feels like to have a strong relationship with a child. Lastly, I would like to say that the ending of this book was very beautiful. All three narratives were tied together quite nicely. If you are at all interested in reading this, I don’t want to discourage you from picking it up. However, you should know whether or not you are truly interested in the story and be aware that it can get slow at times. Overall, it’s a pretty informative read. The holidays are always such a festive and nice time. Since I am on break now, I’ve been trying to do all things Christmas to get ready for the holidays. Therefore, this tag is perfect! I was tagged by Jenna over at Bookmark Your Thoughts. Click on the link to go to her blog and check out all of her great answers for this tag. I’d also like to give credit to the original creator of this book tag, Ashley at Falling Down The Book Hole. I read To Kill A Mockingbird by Harper Lee during my freshman year of high school and I haven’t forgotten about it since. To be honest, I’m a little confused what this question is asking for, so I’m just going to say Johnny and Owen from A Prayer For Owen Meany because their friendship was unbreakable. I have to go with The Infernal Devices Trilogy by Cassandra Clare. I first read these books when I was in middle school and I couldn’t put them down. Also, I heard that she is writing a spinoff series about Will and Tessa’s children and I can’t wait! I know saying Harry Potter may be a cliche answer, but I have to because it’s true. This one is hard because I’ve never really thought about it. I guess I’ll say Captain Hook from Peter Pan because he seems like a classic and I like pirates. Other than Hogwarts, I would say The Night Circus by Erin Morgenstern because everything felt so dark and magical. I felt like I was in the circus while reading this book. Dustfinger’s ferret, Gwin, in Inkheart by Cornelia Funke. I have to copy Ashley and Jenna’s answer for this one as Charlie and the Chocolate Factory by Roald Dahl. I can’t think of any other book that puts sweets on such a huge scale. On the ninth day of Christmas, my true love sent to me: nine ladies dancing. Hermione Granger because of how intelligent, brave, and kind she is. Hermione will always be a strong female role model to me. On the tenth day of Christmas, my true love sent to me: ten lords a leaping. I think Will Herondale from The Infernal Devices will always be my favorite romantic lead. However, in terms of character development, Owen from A Prayer For Owen Meany is such a good character. On the eleventh day of Christmas, my true love sent to me: eleven pipers piping. This one’s really hard….. but Eleanor and Park by Rainbow Rowell could probably fit the bill. Park gives Eleanor his favorite music on cassette tapes and the bands are what they bond over on the bus. This was a really cute book. On the twelfth day of Christmas, my true love sent to me: 12 drummers drumming. 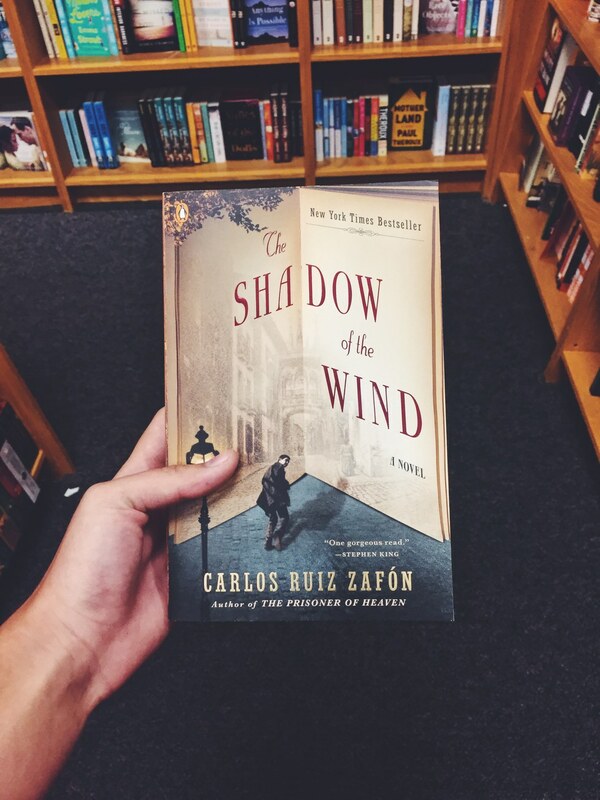 Definitely the Shadow of the Wind by Carlos Ruiz Zafon. I could go on and on about how good this book was, but if you want to read my full thoughts, then here is the link to my book review of it. Anyone who wants to do this tag is tagged! Sometimes it is really fun, as a book lover, to read about other characters that love books as much as you do. That’s why I thought it would be nice to suggest some of my favorite reads that have a main premise that centers around books and storytelling. So here they are; I hope you enjoy! This story is about about a curmudgeonly old man named A.J. Fikry who runs a bookshop on Alice Island after his wife dies. When A.J.’s rare collection of Poe poems is stolen and a mysterious package arrives in its place, he has to figure out what to do. This story follows A.J. as he tries to make his life happy again even if it isn’t how he thought it would turn out. I really enjoyed this story for how heartfelt and lovely it was. This story might not be for everyone because of how slowly it seemed to move and how character driven it was, but for the people who do end up enjoying it, I think it packs a big punch. I was one of the readers who did really enjoy it because I like books that have well developed characters who experience personal growth (basically what this story was). A lot of the relationships that form from the characters in this book are so sweet and genuine. It was very easy to relate to A.J. through his love of books even if I didn’t agree with every choice he made or his attitude at times. 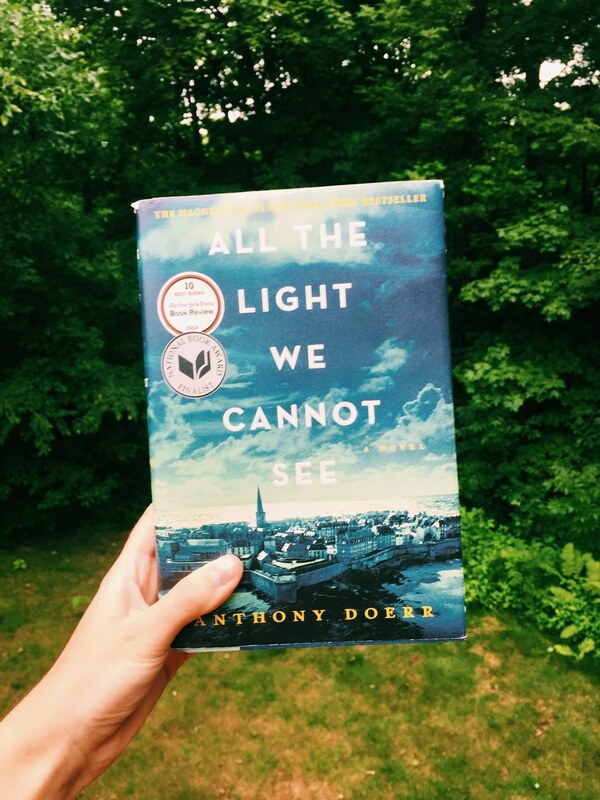 This book is the perfect book for a book lover that wants to read a heartwarming story about good characters who care for each other. This a world war 2 historical fiction about a young girl who learns to love books and words. 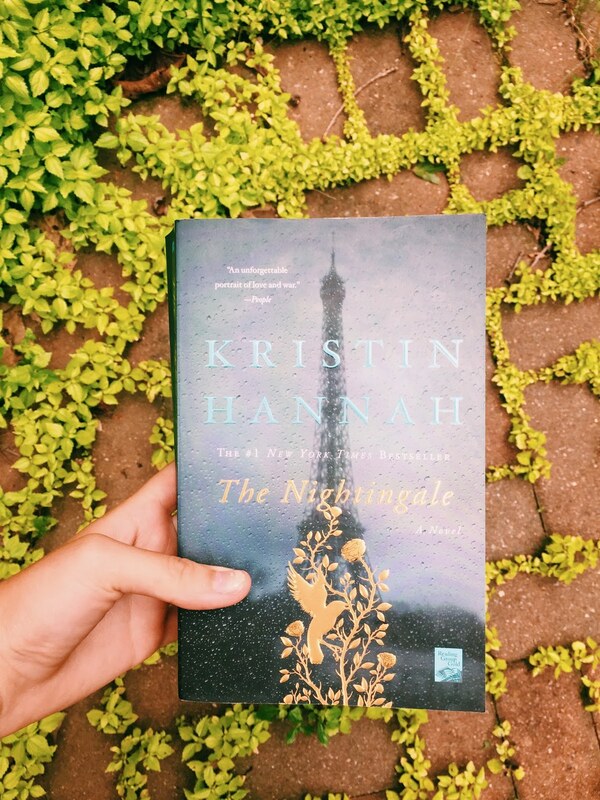 I kind of wish I had included this book in my post, “World War 2 Historical Fiction Recommendations“, however if I make a part 2, then this will definitely be featured. I know that this book is pretty well known, but that is definitely for good reason. The main character is a girl named Liesel who is a foster child outside of Munich. She lives with an accordion playing father, an outspoken mother, and a Jewish man that they hide in their basement. 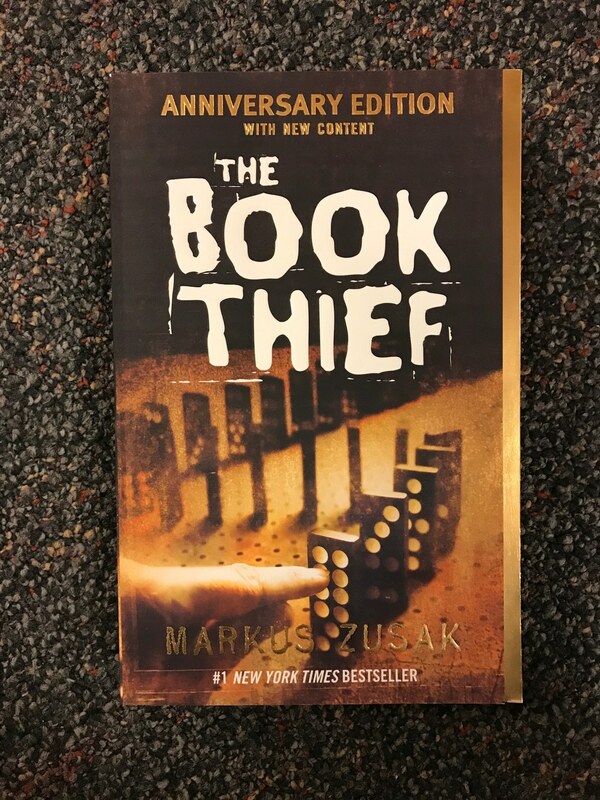 As Liesel learns to read from a book she stole, she realizes how much she loves words and continues to steal books and learn as much as she can. As things in her life become more and more difficult, she learns to rely on words to get her through things. I have read this book many times (ever since I was in elementary school) and it truly is a timeless story. I think the most interesting part of this story is that it is narrated by death and this gives it a more encompassing view over every situation than if it were to be narrated from just Liesel’s perspective. It is very well written and the way that Liesel loves books will make you love them even more. I love the fact that almost any aged person (3rd grade and up) can read this, enjoy it, and feel its emotional impact. This book is one that will stay with me forever. I just love Liesel, Rudy, Hans, Max, and even Rosa. There is a movie out that was based on the book, but please read the book before watching the film! I thought the movie was very good, but I still enjoyed the book much better. 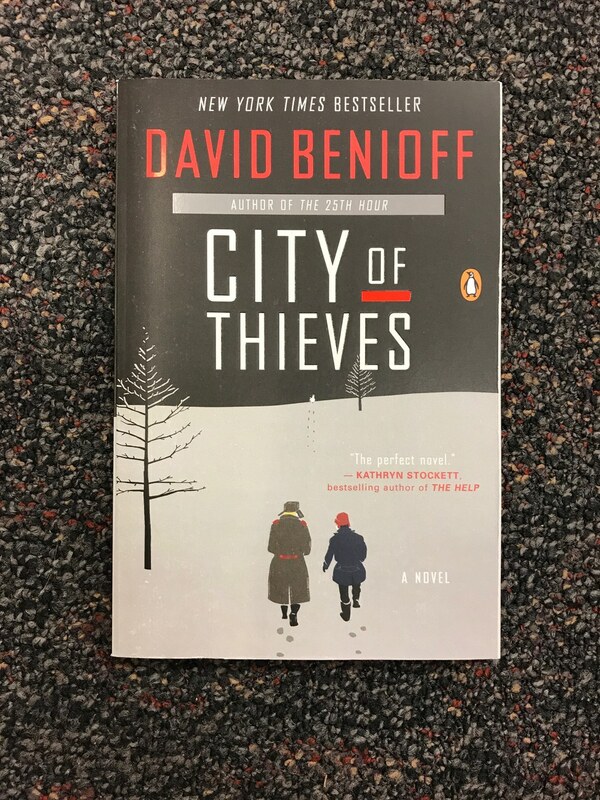 This book takes place in Barcelona in 1945 and is about a boy named Daniel whose father takes him to a secret place called the Cemetery of Forgotten Books when he is a kid. Daniel picks out a book called the Shadow of the Wind and is tasked with keeping it safe from harm. He falls in love with the story and seeks to find out more about the author, Julian Carax. However, on his journey of investigation, he discovers that a mysterious person is attempting to burn all of Carax’s books. As Daniel’s life begins to resemble The Shadow of the Wind, he realizes that everything is more mysterious than he first thought and he has to decide who to trust. The first book in this trilogy, Inkheart, is about a girl named Meggie who finds out that her father, Mo, can read book characters out of their books. When Meggie was three, Mo read from a book called Inkheart and accidentally made Meggie’s mother go into the book while characters from the book came into the real world. Mo and Meggie are determined to rescue Meggie’s mom and find that in order to do this, they must face the Inkheart villain, Capricorn and many other characters that came out of the story. I have to be honest, I haven’t read the third book in this trilogy called Inkdeath, but I have read Inkheart and the second book, Inkspell. When I was little, I was obsessed with Inkheart and the copy that I owned was very well loved. I wanted to be Meggie so badly and I thought it would be the coolest thing in the world if characters from a book could come into the real world (I still do). I also loved Dustfinger, his ferret, and his fiery talent. Inkheart is such an imaginative and fun story that is perfect to help a child fall in love with books. I haven’t read this series in a long time, but I remember that I really really loved it as a kid. I definitely want to read it again soon. I think the series is suited well for younger children (maybe 10+), but any age can still read and enjoy how creative and wonderful it is. Also, there was a movie made off of it that I thought was pretty good. Once again though, I would recommend reading the book before you watch the movie because it is nice to create your own imagery in your head before watching it on a screen.